We have learnt measure words 量词 ( 个 间 件 张 位 条 本 ) in one of the weekly activities before (here). However, when a noun is not counted or introduces with “this” or “that”, a measure word is not necessary. e.g. : We do not say “我的本书”, but “我的书”. Most nouns have one or more particular measure words associated with them. The usage depends on personal preference and dialects. 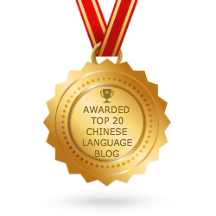 e.g: For car, some people use 那辆车 and others may use 那部车 or 那台车 to mean three cars.